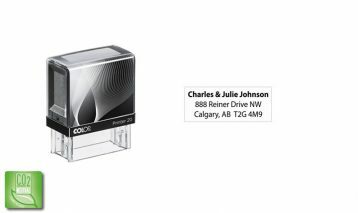 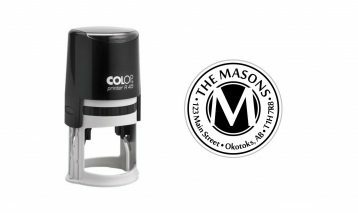 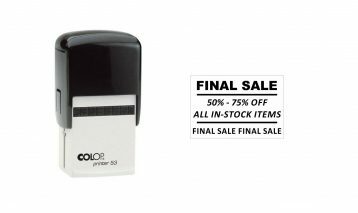 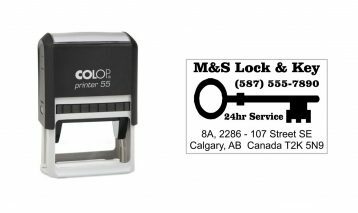 We are proud to supply the industry leading COLOP brand of self-inking stamps. 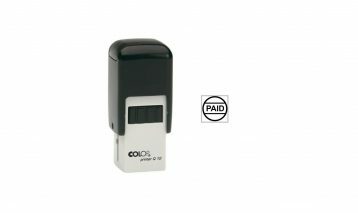 COLOP’s quality management system has been certified according to ISO 9001 for several years. 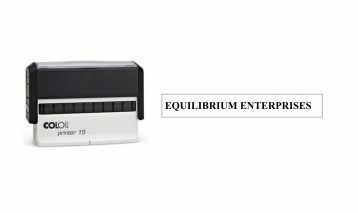 This ensures that products and services are subjected to regulated quality criteria. 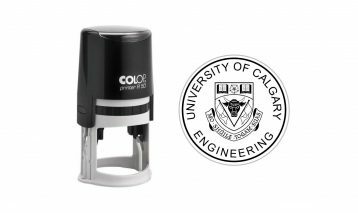 The certification according to ISO 14001 in 2008 confirms that COLOP possesses a functioning and fully integrated ENVIRONMENTAL SYSTEM. 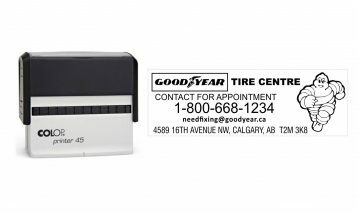 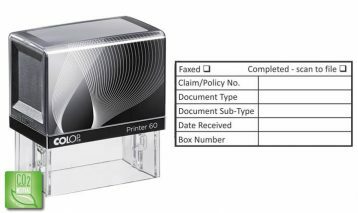 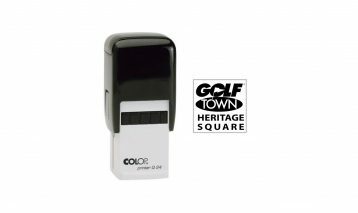 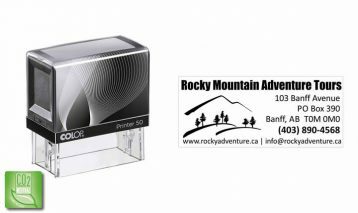 Custom self-inking stamps are available in a variety of sizes and shapes which can be customized individually with your graphics, logos and text. 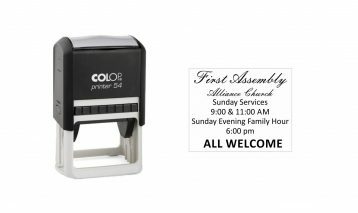 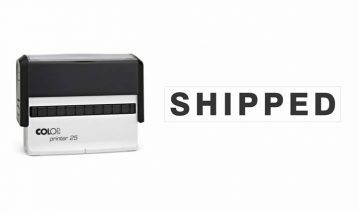 They are quick and easy to use and great for address stamps, deposit stamps, signature stamps and anything else you can imagine. 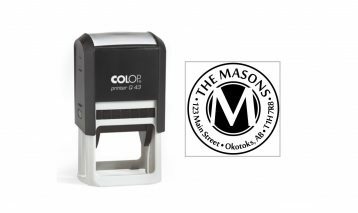 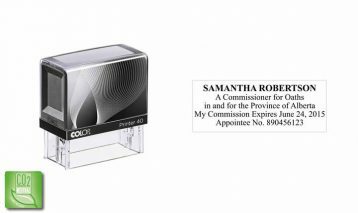 Self-Inking stamps are best used for stamping on paper and other porus surfaces, they will not work on non-porus surfaces like photographs or other glossy surfaces. 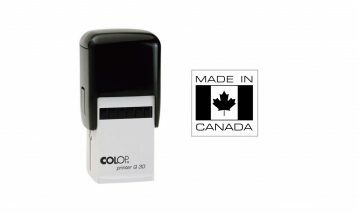 Self-Inking stamps use water based inks which are non-toxic and environmentally friendly.